In the late 1990’s, the Benike Family started growing different varieties of wheat in a quest to find an alternative protein source for their dairy cows. 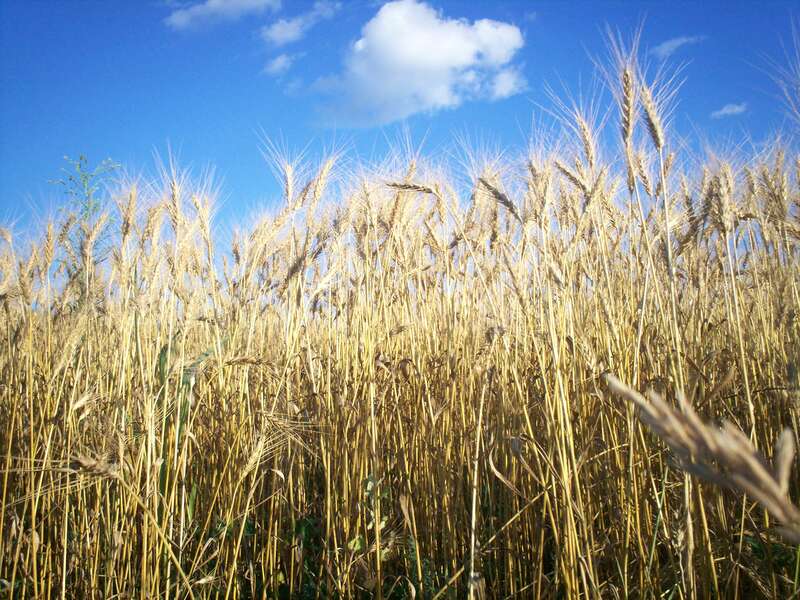 In 2001, they tried kulm wheat which proved to yield well on their organic soil. More importantly, it was high in protein, making it an excellent supplemental protein source during the winter months when the cows rely on a diet of hay. Pam, who learned to make bread as a child, knew the best bread flour was high in protein, so she ground a couple pounds of wheat kernels into flour and baked a batch of bread. The aroma of the baking bread was absolutely incredible and the flavor was superior to every other kind of wheat she had tried. The Benike family enjoyed wonderful whole wheat bread themselves and began marketing whole wheat flour by giving samples of the bread. After numerous requests for bread rather than flour, Pam began marketing several types of whole wheat bread. Today, the wheat is part of Prairie Hollow Farm’s holistic farm management plan with the wheat grown as a nurse crop for the special blend of grasses and legumes which are harvested as hay for winter feeding. Kulm wheat seed is no longer commercially available, so the Benikes collect seed from each year’s crop to plant the following year. The wheat is ground into flour immediately before it is baked into breads, rolls and crackers, ensuring the maximum flavor , nutrition and aroma. Flours and mixes are ground immediately before packaging and should be stored in the freezer to preserve freshness and flavor.